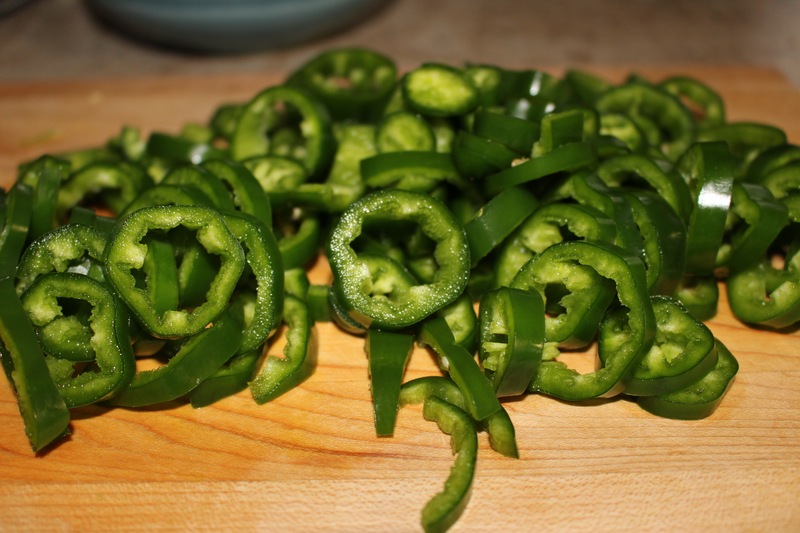 We used to make these every year when we got lots of jalapeños from our garden. Our garden does not give us many peppers anymore due to shade from a large building that went up next to us. 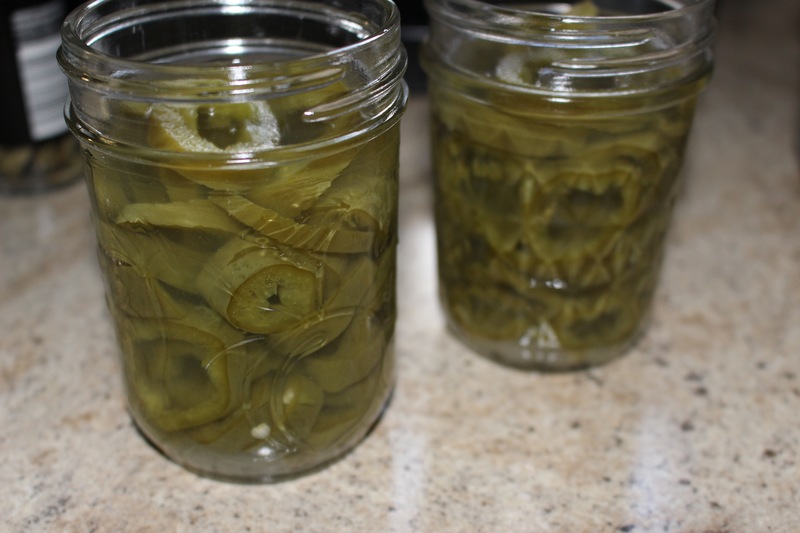 I mentioned this recipe to Mimi when she said that she had a lot of jalapenos to use up from her garden and promised the share the recipe with her. 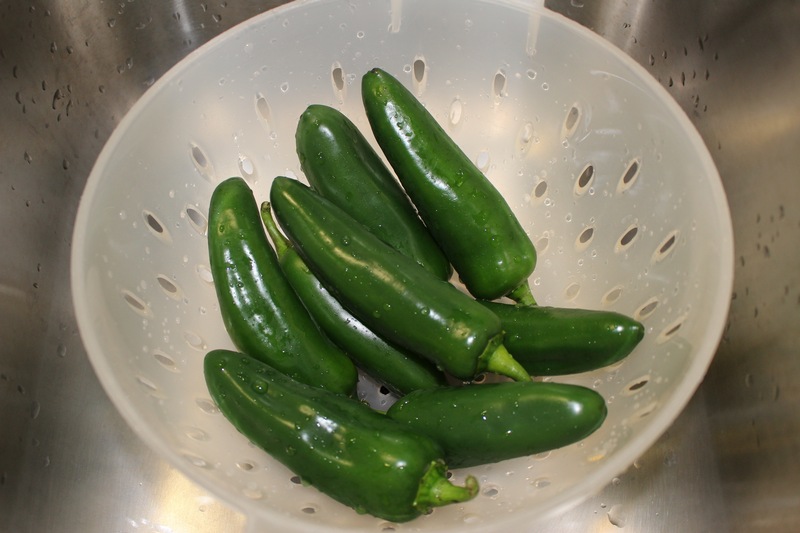 We use these on nachos and in any recipe that calls for a can of chopped green chilis, such as enchiladas, mexican rice, nachos or just on sandwiches. These are easy to make and you can make as many jars as you like, even one if that is all the japans you have enough for. I bought 6 or 7 large jalapeños and got these two jam jars. You can easily double or triple this recipe if you need more. Remember one of the most important rules of canning is CLEAN CLEAN CLEAN. You can never be to safe when preserving food. I also find it best to have everything prepped and ready to go in assembly line order. Put the water canner on to boil while you are getting everything else ready as it takes quite awhile to get that boiling. I sterilize the jars in there for at least 10 minutes boiling before canning. You can also sterile your jars in the oven, I have done that method as well. Please, if you are new to canning please do your research and get to know the process I recommend these websites which I have used for basic safety information The National Centre for Home Food Preservation, Government of Canada, and the Company that makes Mason Jars. There are other great resources too, but there is a lot of information on the internet that is not accurate so ensure that you are using a reputable website. 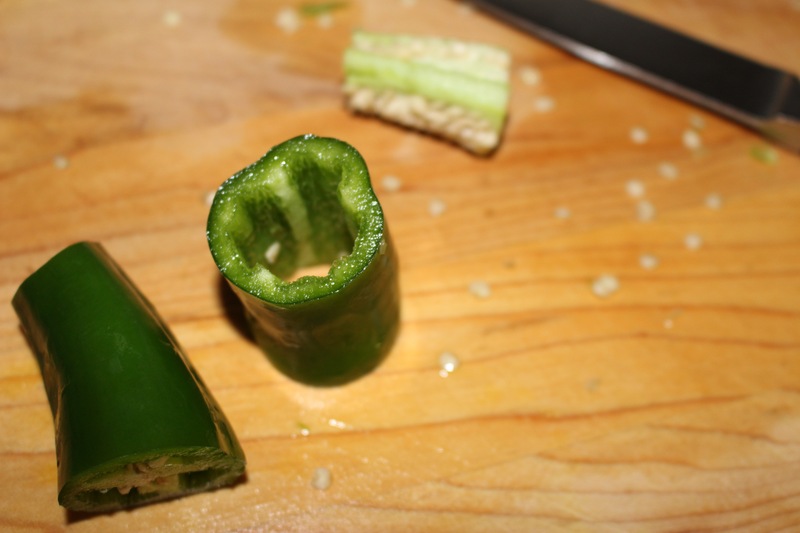 Remove stem and seeds from the peppers then slice in rings. Combine water and vinegar in a large saucepan and bring to a rolling boil. 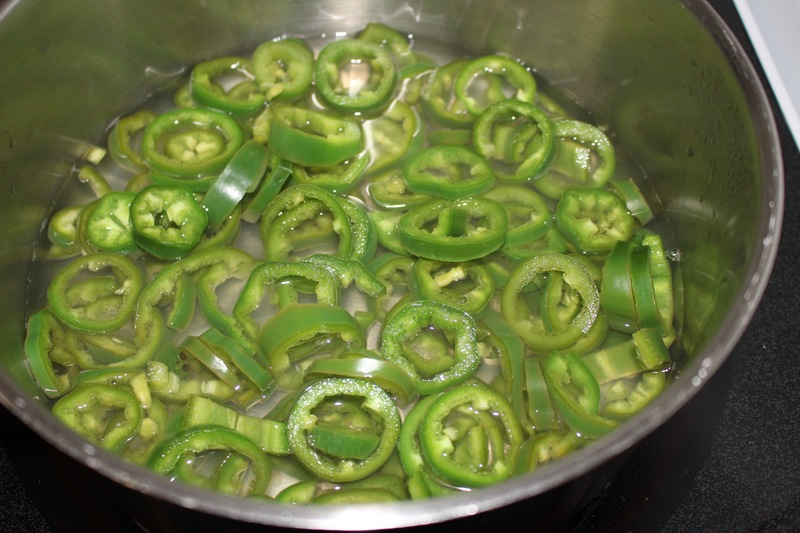 Drop peppers in boiling liquid. Cook for 5 minutes. 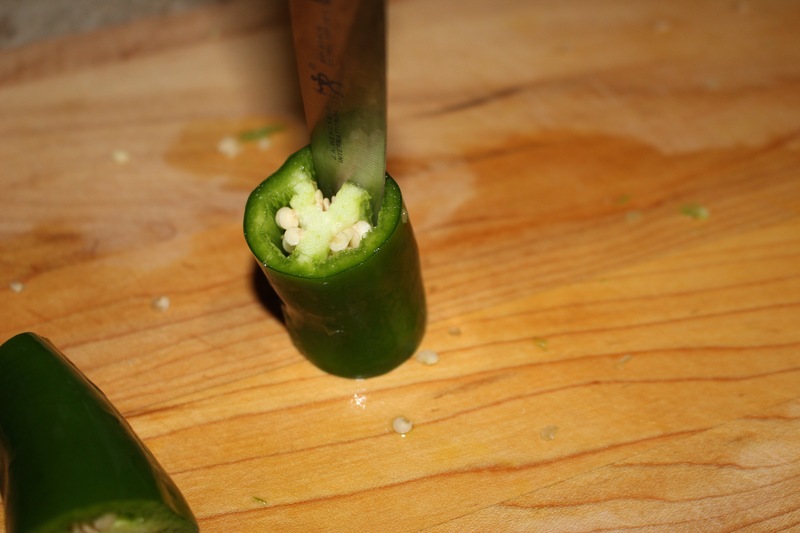 Pack peppers into sterilized jars and fill with hot liquid, leaving about 1.5 inch headspace. Add lids (which have been prepared as for any canning (by softening the rubber rings in simmering water bath for about 5 minutes) and rings (do not tighten the rings, (they should just be screwed on lightly, fingertip tight, air has to escape during boiling and for it to seal properly) process in a water canner for at least 10-15 minutes at a rolling boil with the lids covered in about 2 inches of water (please make sure you check proper processing time for preserving based on your altitude). 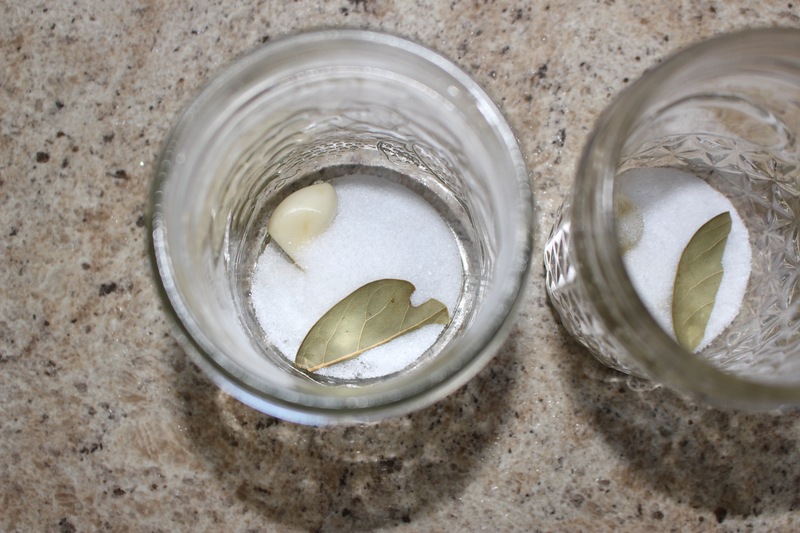 Remove from water and let sit on counter undisturbed for 24 hours. The jars should seal as they cool, you will hear a little pop as they seal. The lid of the jar should be sucked down flat and if you push on it it should not pop. These will last for a year in the cupboard and once opened store in refrigerator for 2-3 weeks. This entry was posted in condiments, frugal, preserving and tagged bay leaf, garlic, Jalapeños, pickled jalapeños, salt, sugar, vinegar. 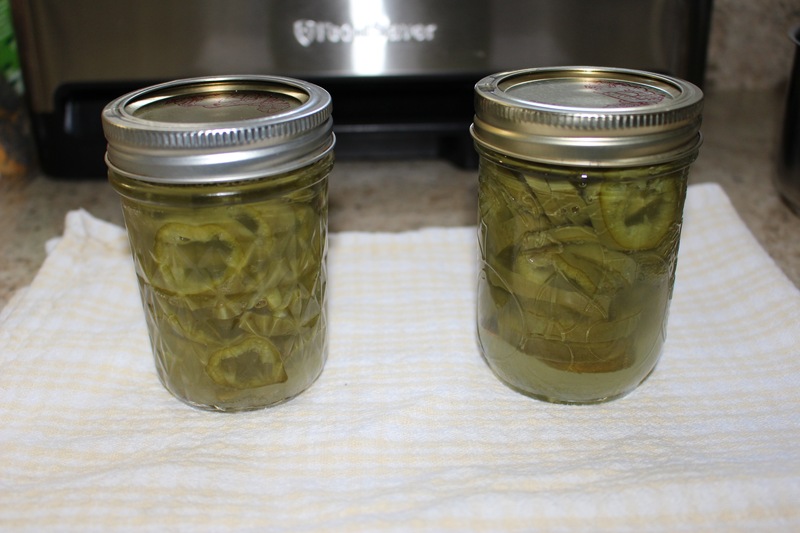 Lori, thanks for your many tips on canning safety, as well as this recipe! My canning set went by the wayside last year (house fire, as you know…), but I’ll be bringing home my sister’s canning set next time we go home. Although jalopenos will probably be out of season by then, I’m looking forward to making your recipe next summer, yay! Thanks again, xo.